The merriment that usually comes with the last month of the year is magnified many times over in Penang. This is because, there seems to be double the amount of festivals in Penang as compared to (probably) anywhere else in the country. For starters, the December month starts off on a jazzy note. The 4-day annual Penang Island Jazz Festival 2015 happens on 3 Dec and it trails behind the In-between Arts Festival and George Town Literary Festival that happened at the end of November. 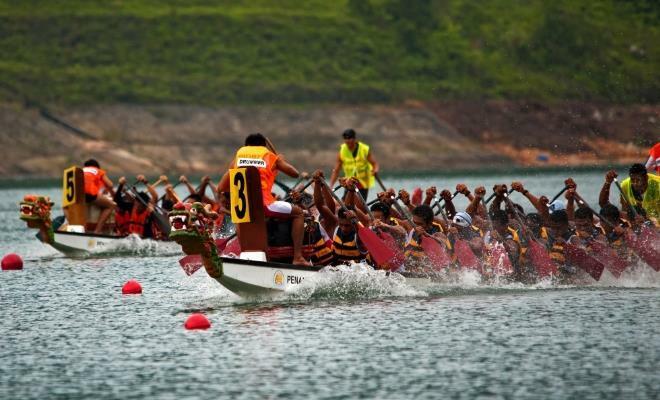 On the same weekend as PIJF2015, the Pesta Dragon Boat Race pushes off on 5 Dec at the scenic Teluk Bahang dam. This race has attracted dragon boat competitors from all over the globe. This sport truly puts teamwork into focus and not to mention stamina and vigour. It is best to get to the venue early in the morning because it does get pretty scorching hot as the day progresses. A couple of weeks later, on 20 Dec, Penang Pesta Chingay Parade is happening where lion dancers and chingay performers show off their impressive balancing skills in a parade that ambles between Jalan Gudwara to Esplanade in George Town. A week later, on 27 Dec is the Seberang Perai Chingay Parade. 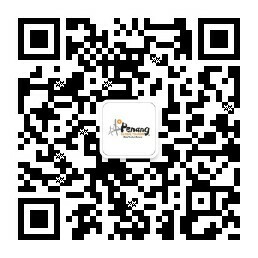 According to history, chingay is normally linked to celebrating a Buddhist deity. 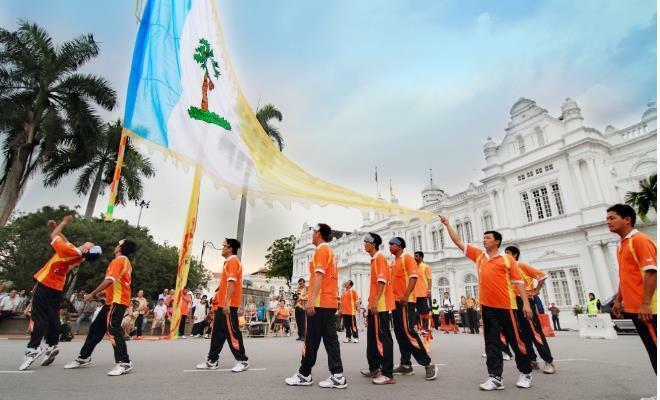 Although it started that way in Penang, it has now evolved to a festive celebration due to the third Chingay Parade that happened during the centenary of George Town’s City Council in 1957. 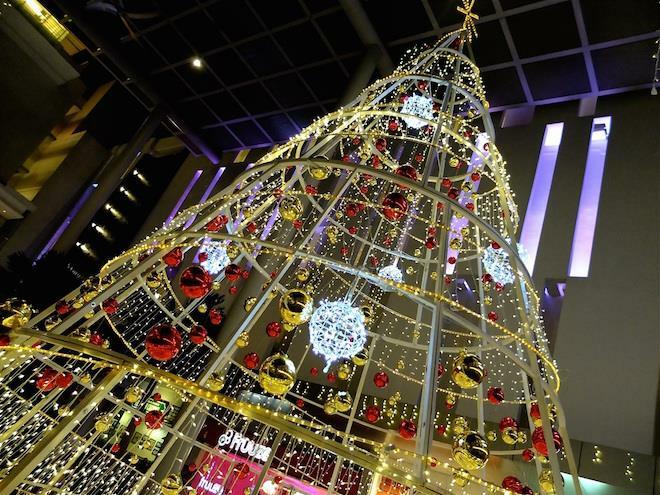 As you’d know, December is not December without Christmas and in Penang the sparkly, pretty and joyful Christmas decorations in shopping malls as well as store, streets and billboards start as early as November. This is when there’s a thick celebratory mood permeating the air and Penang transforms into a place of glittery happiness way before 25 Dec. Many Christmas-related activities and performances are put up on weekends prior to the anniversary of the birth of Jesus Christ. You’d need to keep abreast with event listings to be up to date on the season’s merriment. Before the Christmas joy can fade, there’s the New Year Countdown that happens each year at Penang’s Esplanade on 31 Dec, to look forward to. The old field that faces the waterfront will be resplendent in festive decorations and visited by thousands of people who come to enjoy music from live bands performing that night, a night bazaar, plenty of cool activities and, of course, the multiple layers of firework that will light up the sky. All of which accompany and new resolutions made as another new year is ushered in. 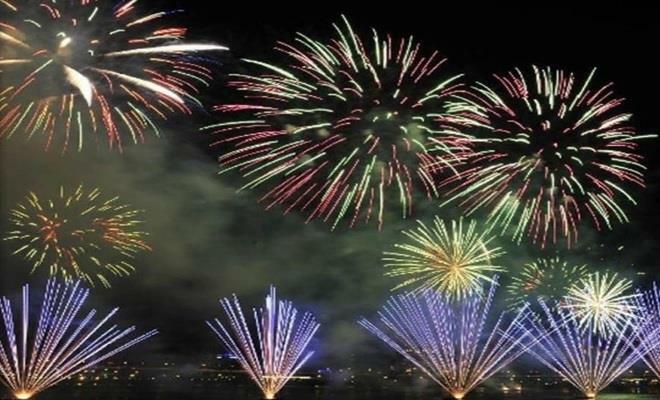 Besides the Esplanade, New Year countdown celebrations are also happening at Auto-City in Juru, Straits Quay, Gurney Drive and Karpal Singh Drive which is off the Jelutong expressway.